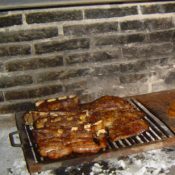 Our family, which has a long history working in the livestock industry, decided to open a rural house. 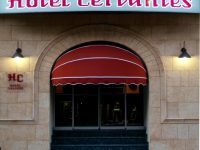 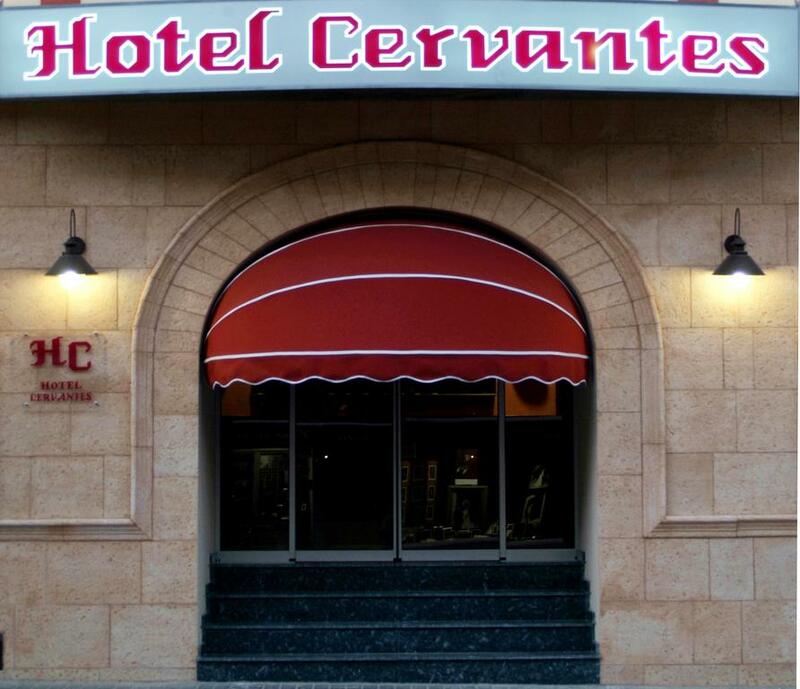 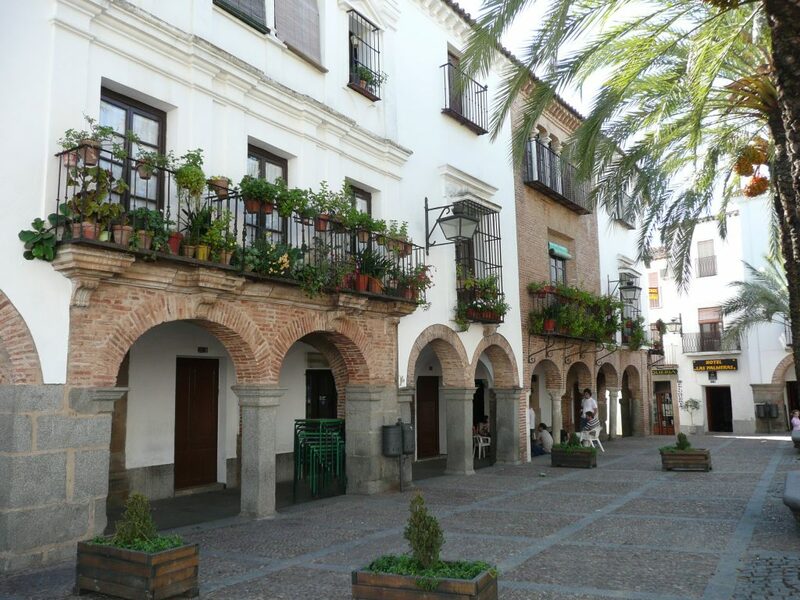 After seeing with great joy that our first accommodation had an excellent acceptance amongst our guests, we followed the wish to keep on satisfying them by opening another accommodation in June 2005: the Cervantes Hotel and Restaurant, in the centre of Zafra (Spain). 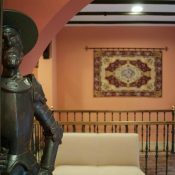 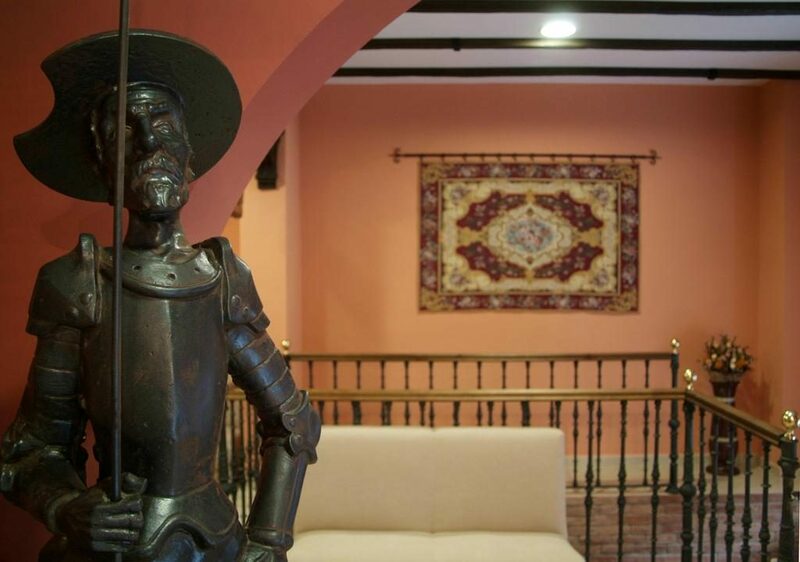 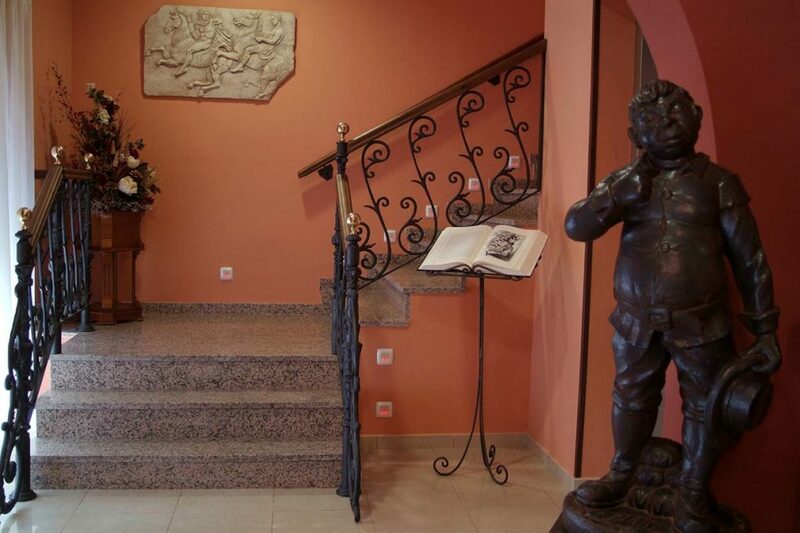 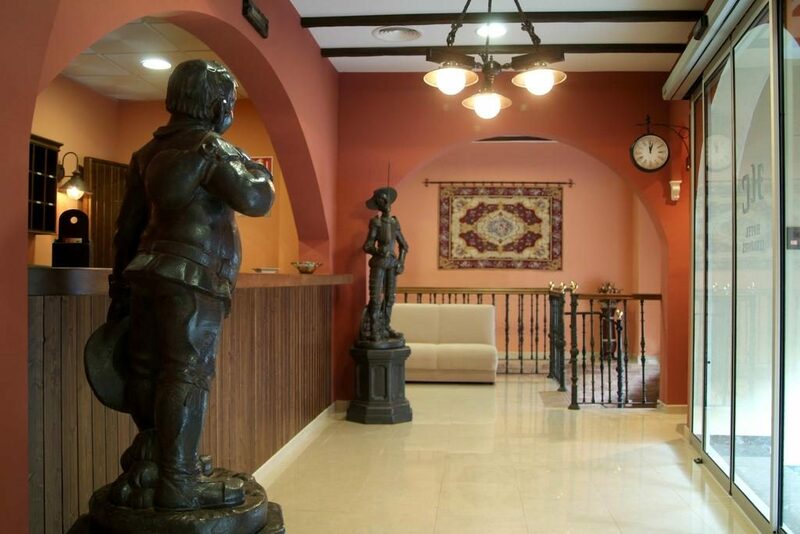 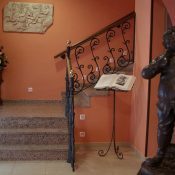 The Cervantes Hotel and Restaurant follows the same principles: an exquisite treatment with our clients and an environment that enhances rest and relaxation in Badajoz province. 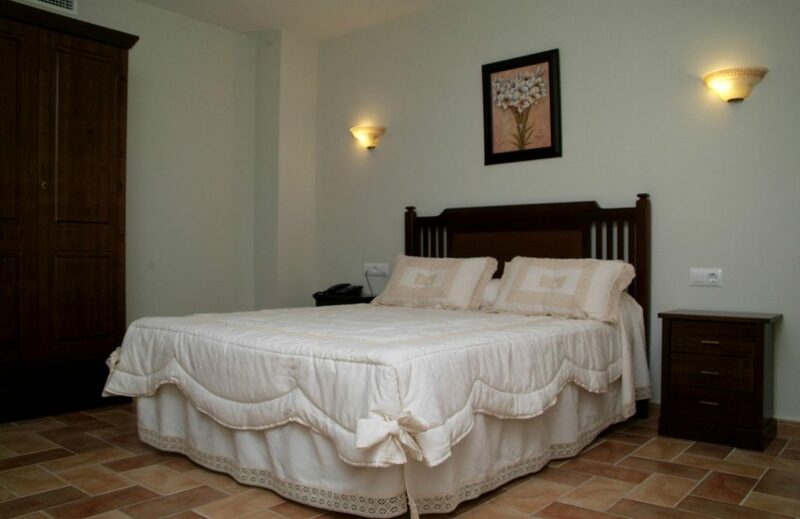 In our accommodation we offer single rooms, double rooms with a double bed or two single beds, and rooms that are accessible for the disabled. 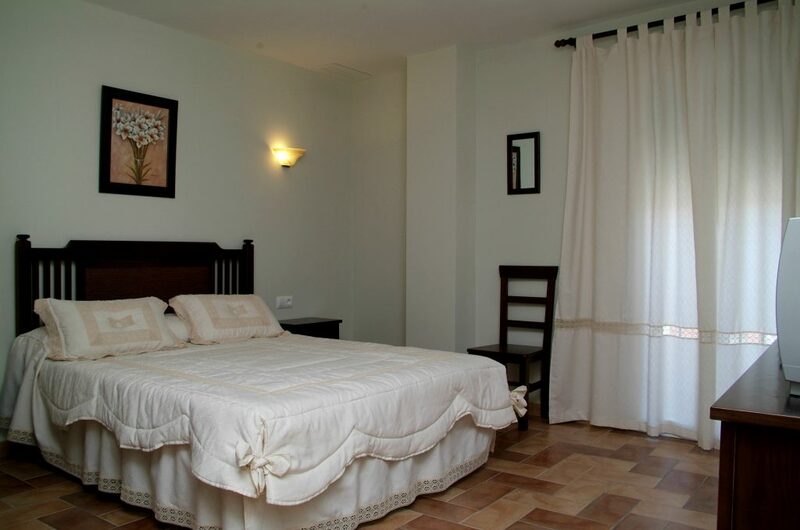 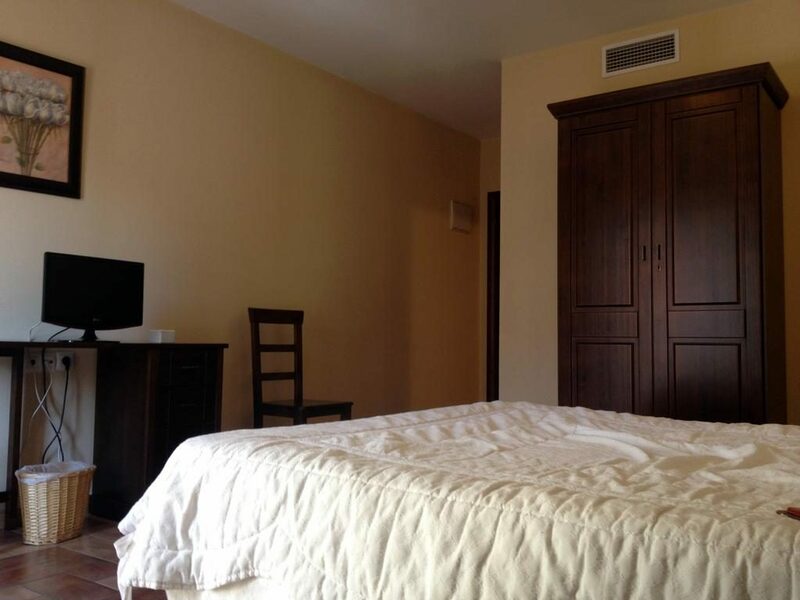 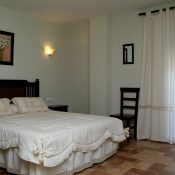 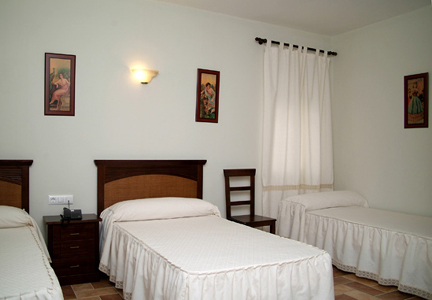 The capacity of our accommodation is 80 guests in 39 rooms. 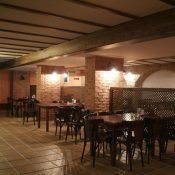 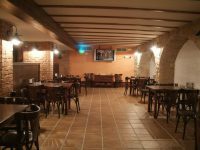 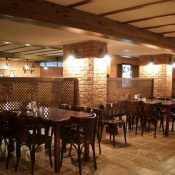 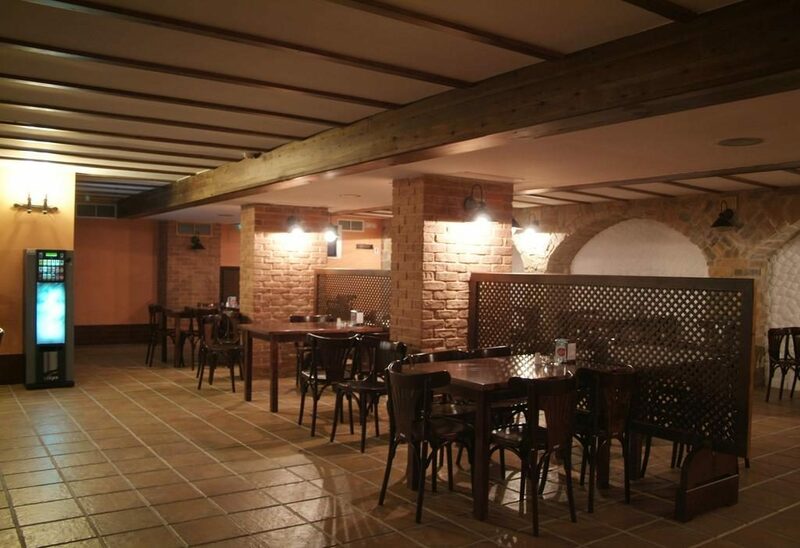 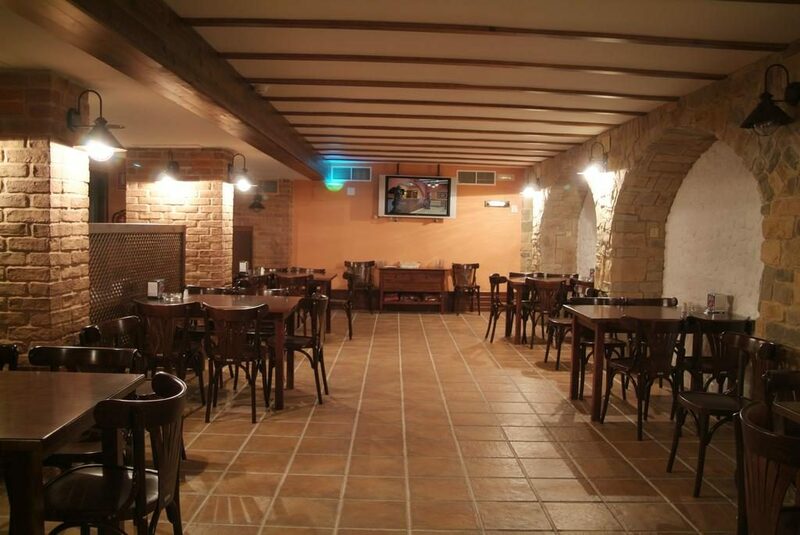 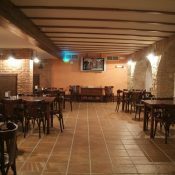 A cafeteria with a rustic atmosphere, to have a drink while feeling like taken to old times. 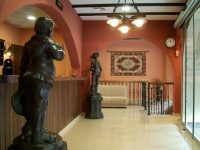 A social lounge, to relax and enjoy a pleasant evening during your stay. 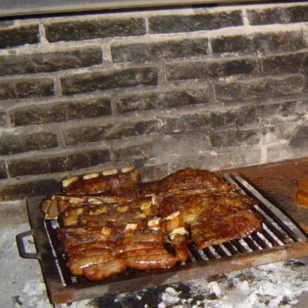 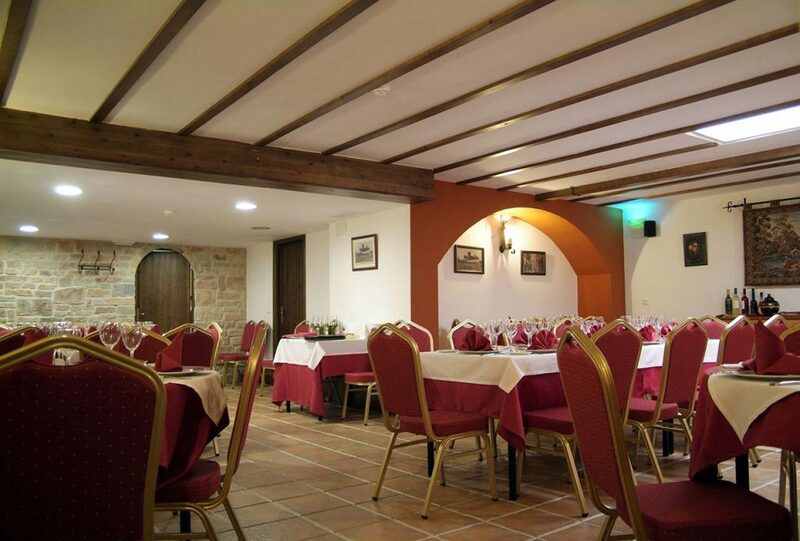 A restaurant, to taste the local gastronomy. 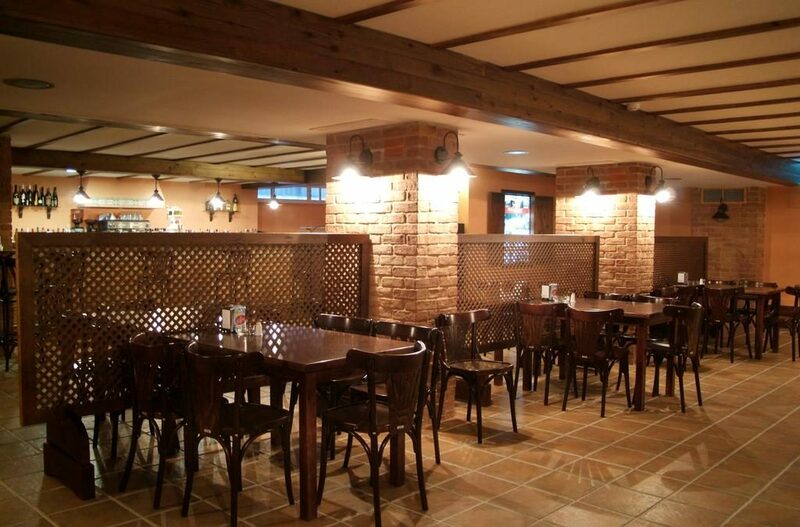 Note: our restaurant is not currently open to the public on a permanent basis. 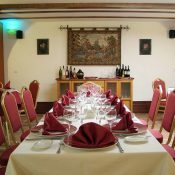 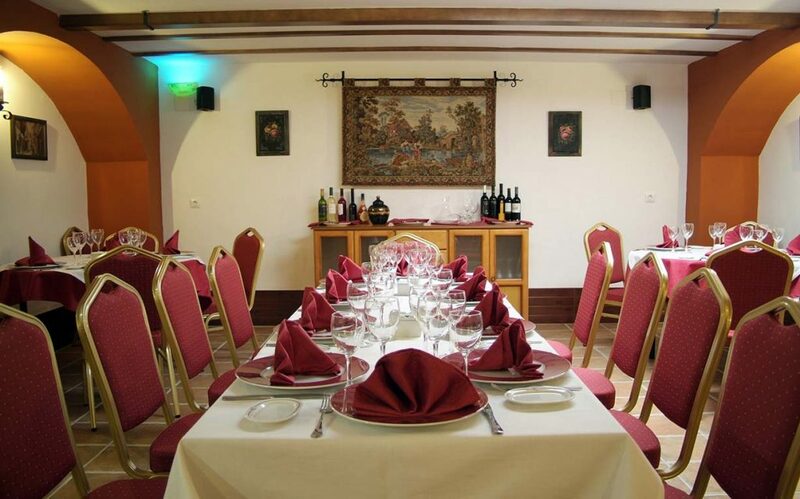 However, we offer banquets and meals for groups, upon reservation and for a minimum of 25 guests. 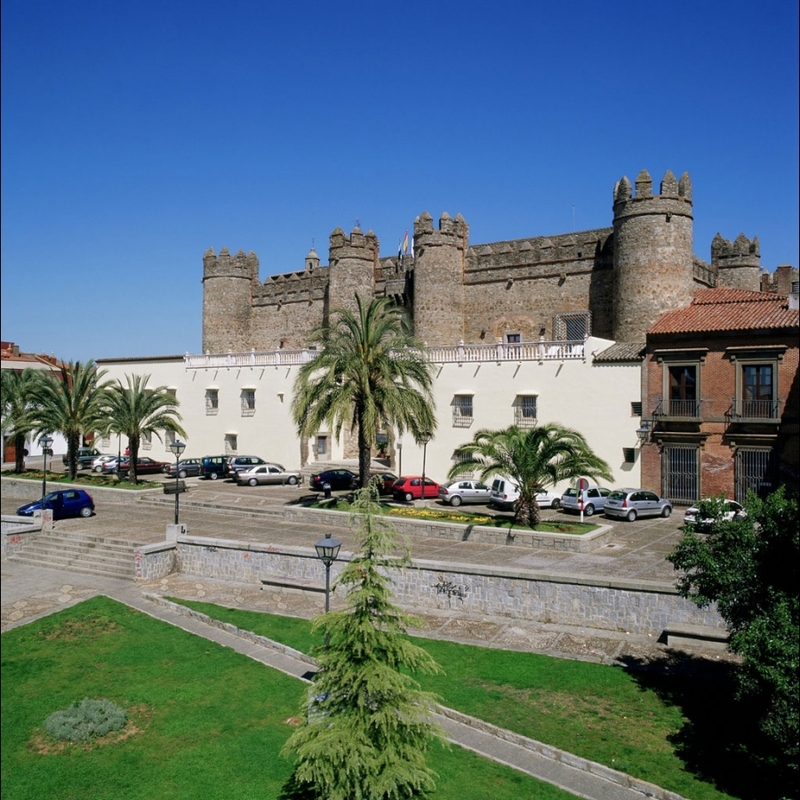 Palace of the Dukes of Feria (1437, currently the Parador de Zafra). 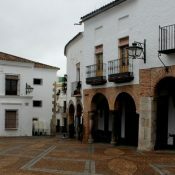 Convent of Santa Clara (1428). 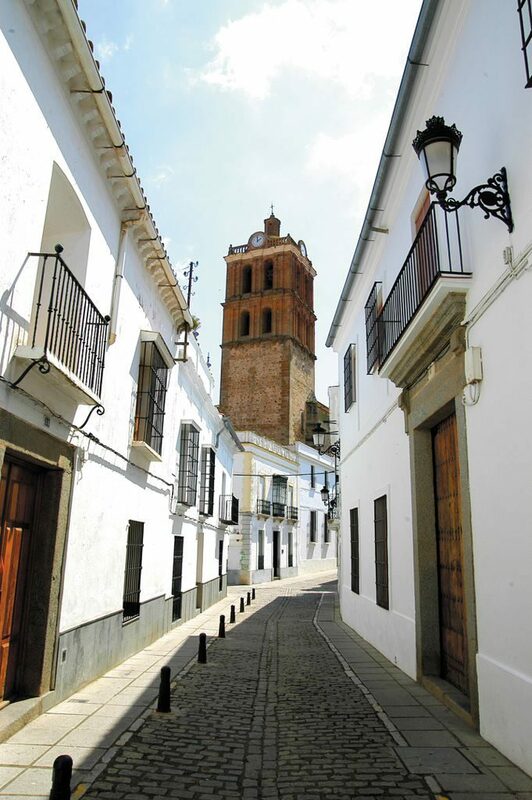 Casa Grande (1601, architecture of Italian inspiration). 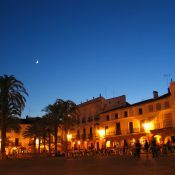 Convent of Santa Catalina (1500, of Mudejar origin). Hospital of Santiago, with Mudejar elements and late Gothic elements. 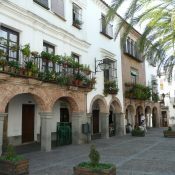 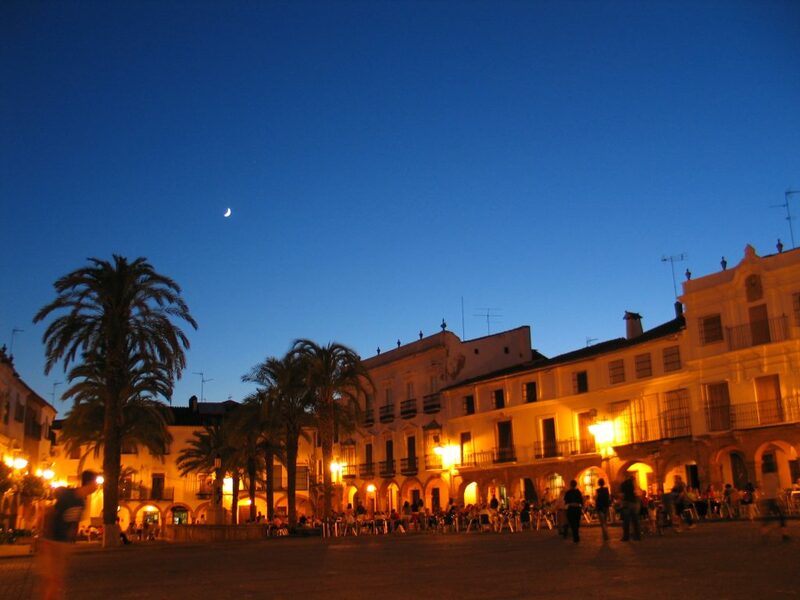 Plaza Grande and Plaza Chica, centre of the medieval village. 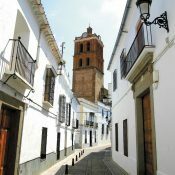 Colegiata de la Candelaria (1546). 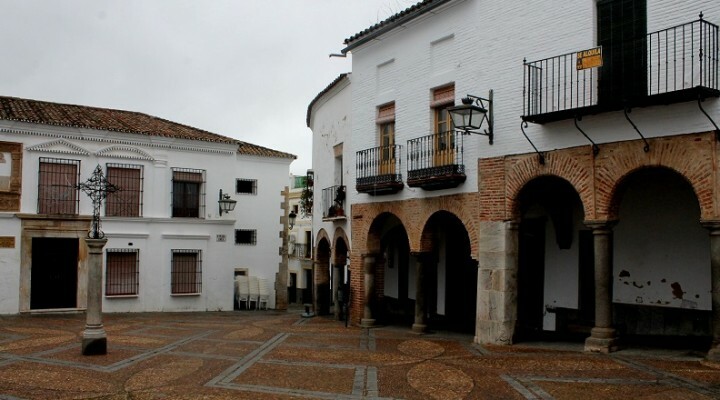 Among its artistic works we highlight the altarpiece of Virgen de los Remedios, with nine canvases by Francisco de Zurbarán, as well as the organ, and the altarpieces of Virgen del Carmen. 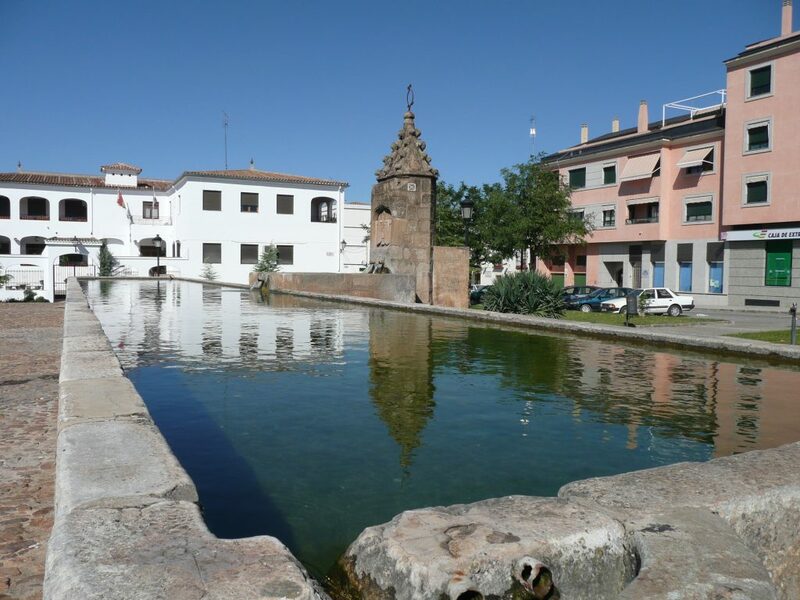 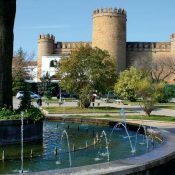 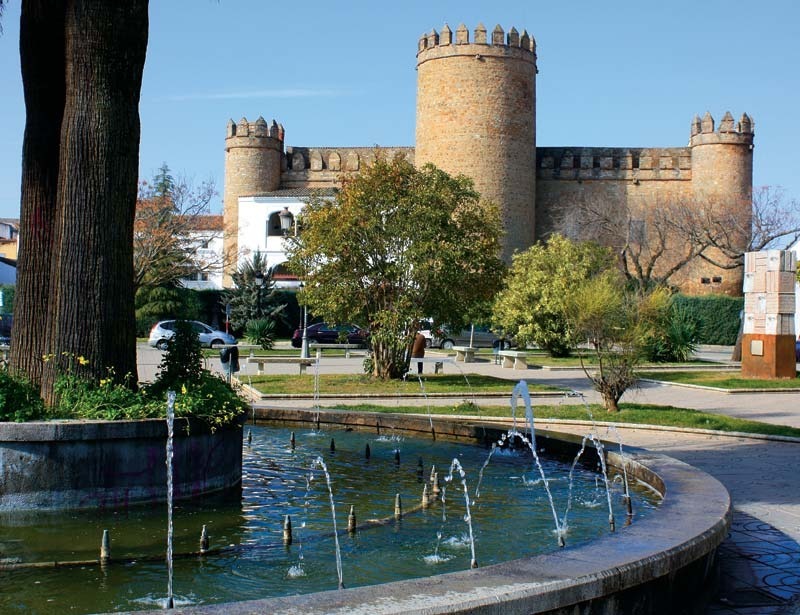 Other tourist attractions in this area of Badajoz, very close to the Cervantes Hotel: natural pools for recreational use, El Raposo spa and Sierra el Castellar -with vestiges of an Arab fortress. 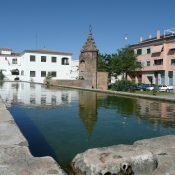 If you wish to visit the natural surroundings of Zafra, we recommend La Finca Los Llanos for accommodation. 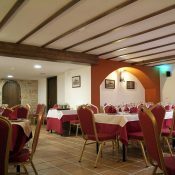 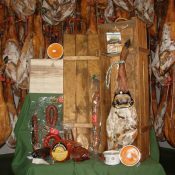 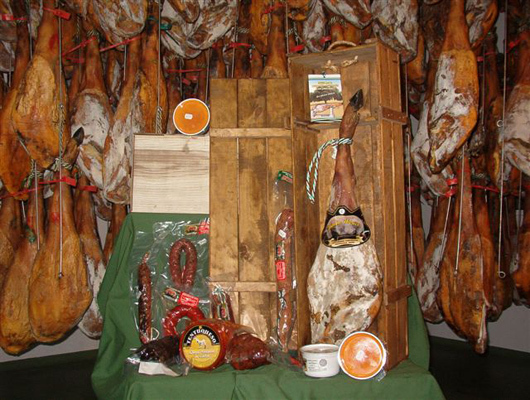 In our restaurant we offer typical products of the Badajoz province: Iberian sirloin, Iberian pork shoulder, Iberian pork slice, T-bone steak from Extremadura veal… from our own farms “Finca los Llanos” (Atalayas) and “Encinares de Magdalena” in Medina de las Torres, thus its excellent quality is guaranteed.